This online homeopathy course takes you on a virtual tour of the finest lecture halls of the Homeopathy college within the comfort of your home, without any traveling expenses and at your convenience. It is meant for young Homeopathic practitioners to acquire a depth and reasoning in their practice; helping them to excel further. The easy language also makes it convenient to understand ; lay-people, patients, allopathy doctors, nurses, veterinarians, naturopaths and alternative medicine practitioners too can enhance their knowledge about Homeopathy via this course. This course is also meant for students who wish to know more about homeopathy before choosing it as a career or before starting homeopathy practice. If you are beginning your Homeopathic journey as a patient or as a student - this is the course to begin with. 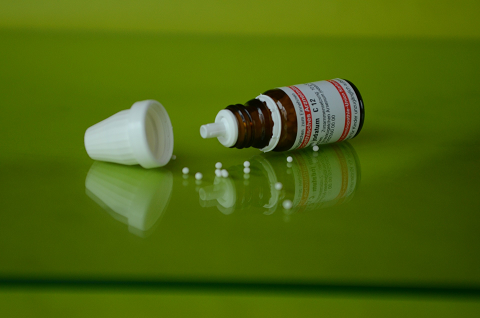 Homeopathy is the science and art of prescribing the best remedy to attain highest possible cure. Great focus is given on knowing and understanding the Fundamental principles of Homeopathy. Our course encourages the reader to apply these principles in real life and to learn from the successes and failures of their own. It shall be of considerable help to new Homeopathy practitioners who get stuck up in chronic cases as this course also focuses on the possible potholes in prescribing. Adequate information is given about the common ailments, Homeopathic Materia Medica (Drug information) How to excel in homeopathic case taking. A part of the course is also devoted on explaining the communication techniques and practical strategies you need to handle even the most difficult patient encounters; as effective empathetic patient communication is the key to trusting long-term doctor-patient relationship. On successfully completing the course you can also avail the advice from our team of expert homeopaths in dealing with difficult cases- absolutely free. Also you can avail a 25% discount in our other courses- BASIC YOGA E-COURSE and HOLISTIC PSYCHOLOGICAL COUNSELING E-COURSE!!! Learn homeopathy from the comfort of your home at your own pace. Highly effective course material presented in a simple to understand way making judicious use of pictures and videos. After successful completion of all 20 modules, the candidate will be granted a "Diploma in Homeopathy" certificate by MedMantra Online University and be able to add letters "MMDH" after his/her name. This course is ideal for candidates who wish to practice homeopathy anywhere in the world. Course duration may vary from 2-12 months depending on your pace of study.